My pc began to betray suspicious behavior. The old memory of a crush disaster prompted me to move both windows system and data into new disks. 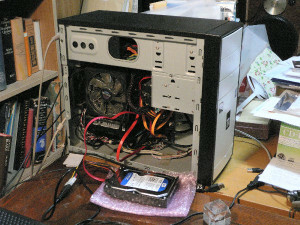 I have been using the case of the old PC which I bought to my deceased son in celebration of his entrance to college. It is now an important keepsake from him. This is the third moving of disks. Last time I installed windows system into an old disk and I had been afraid the next moving would be earlier. The refoming work on my web site which I continued daily for months must have caused the behavior. He was a kind of a Mac fan. While in London he bought a MacBook and brought it home. 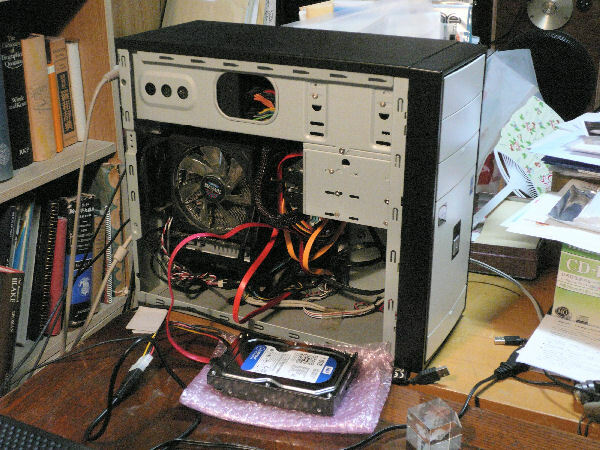 Thereafter, he seemed not used his windows PC I bought him. The case is well-made and well-finished. It looks still beautiful too.